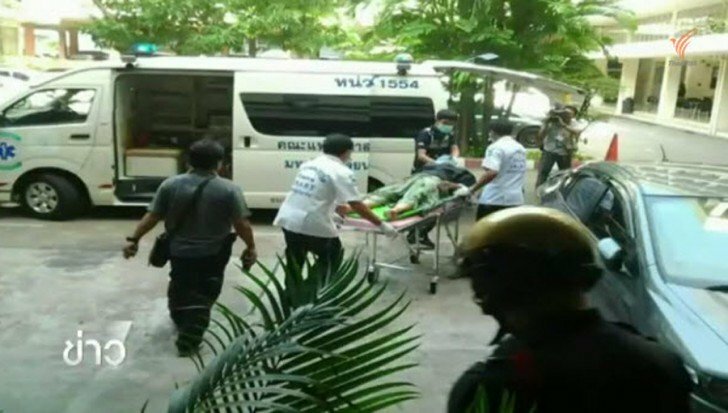 Prime Minister Prayut Chan-ocha has ordered authorities to look after a woman who set herself on fire in front of the complaints centre at the Government House apparently in a fit of stress over the failure to settle a huge debt. Government deputy spokesman Colonel Sansern Kaewkamnerd said the prime minister ordered PM’s Office Minister Panadda Diskul to visit the woman, a Mrs Sangwien Raksapet, who is still being treated at Vajira hospital since she was admitted on October 15. Also, the colonel said that the prime minister wanted officials concerned to look into her case and to resolve it. A resident of Kok Samrong district of Lop Buri, Mrs Sangwien used to travel to Bangkok to lodge a complaint with the complaints centre at the Government House regarding a loan she took from a money lender, Ms Thidarat. Mrs Sangwien claimed that she took a loan amounting to 400,000 baht from Ms Thidarat who however claimed that the former had taken several loans from her and finally both sides agreed to settle the amount of loan at 1.5 million baht during talks at Kok Samrong district. However on August 14 the two parties were invited to the provincial hall for a settlement of the conflict in the presence of a public prosecutor, provincial officials and police who tried to mediate. The talks ended in a deadlock and MrsSangwien, after leaving the meeting room, took a small bottle of gasoline from her handbag, poured the gasoline on her body and set it afire. Officials at the provincial hall rushed to her rescue, doused the fire and took her to the hospital for emergency treatment.